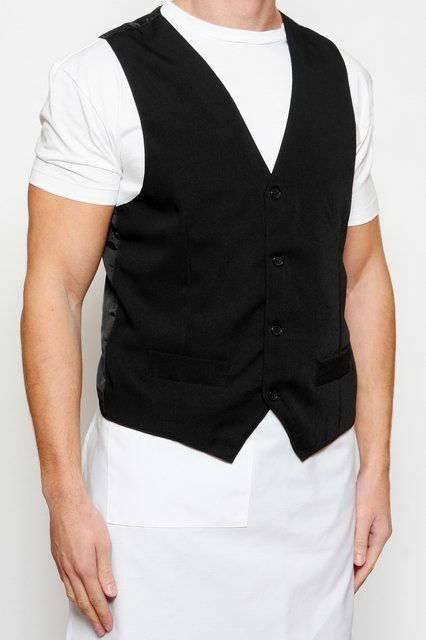 SKU: J003. Category: Chef Jackets. 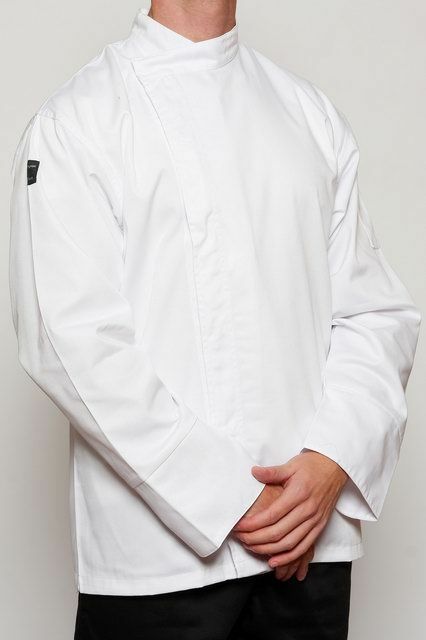 This Traditional Chef Jacket is designed and constructed from a durable, yet comfortable 65/35 poly cotton. 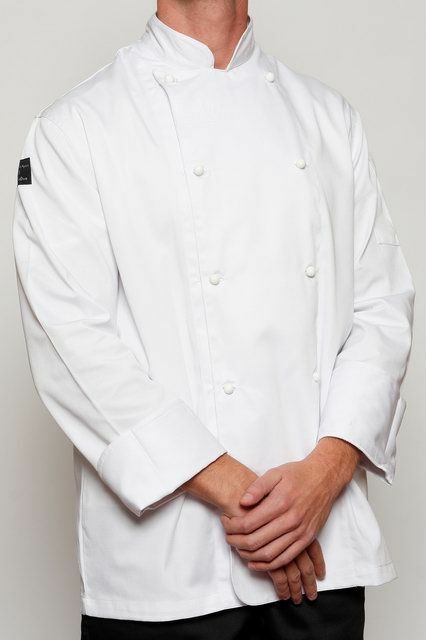 The popular poly cotton blend allows for a low wrinkle fabric, whilst the Chef Jacket maintains its quality, even after many, many washes. 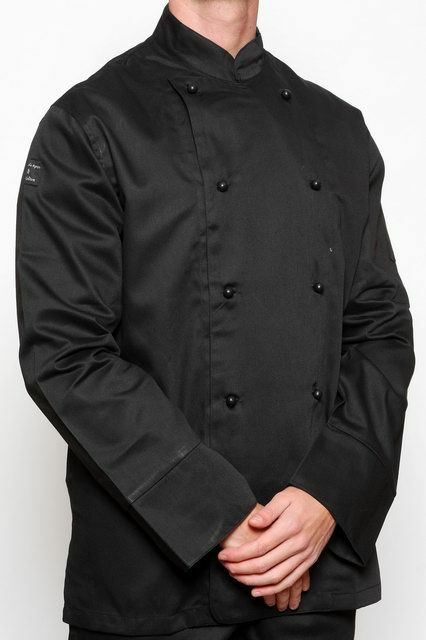 Featuring a double breasted design, the Chef Jacket comes with 10 plastic push through buttons, two pockets on the left hand sleeve, and is available in both Black or White, Short Sleeves and Long Sleeves and ranges in size between 2XS – 4XL, all in a Unisex Design. 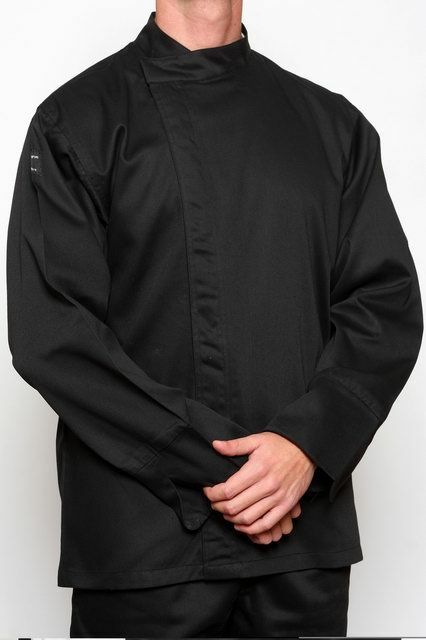 With its comfort and easy breathing fabric, this Chef Jacket is a great addition to any kitchen! 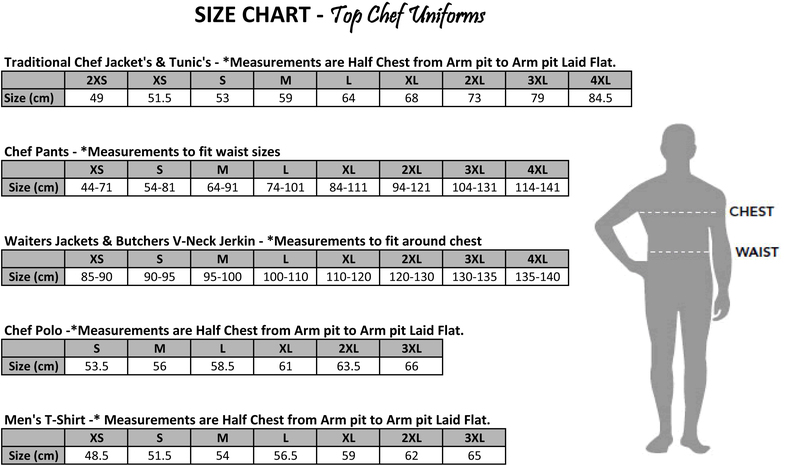 Below is a list of features within the Chef Jacket.